This building’s mixed-use program provides a lifestyle hub for Mesa’s students to thrive on campus. 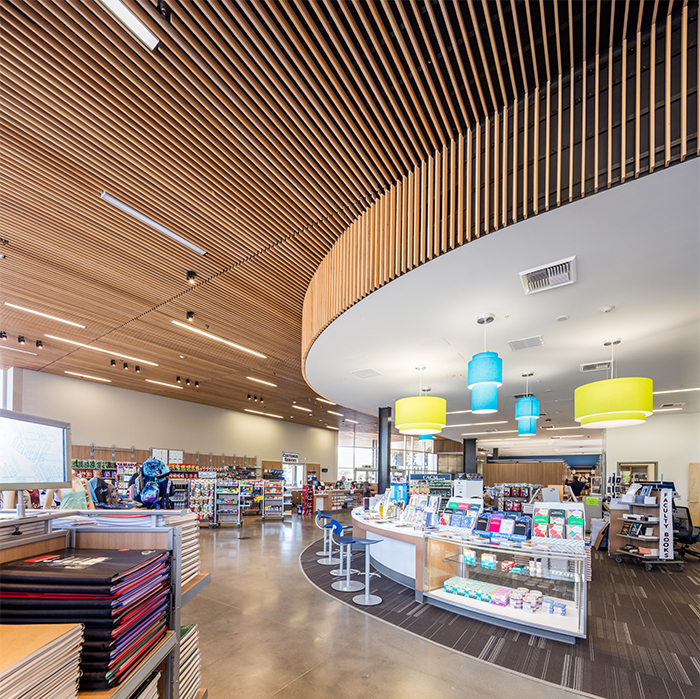 This design-build project for the San Diego Community College District is unique in its sustainable and highly effective design, which provides the college with a successful retail and education-centric facility. The 73,000 square foot Mesa Commons is the campus hub and serves as a place to gather, eat, meet, and shop. 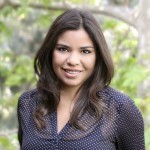 Classrooms, as well as, lifestyle amenities are also part of the program. 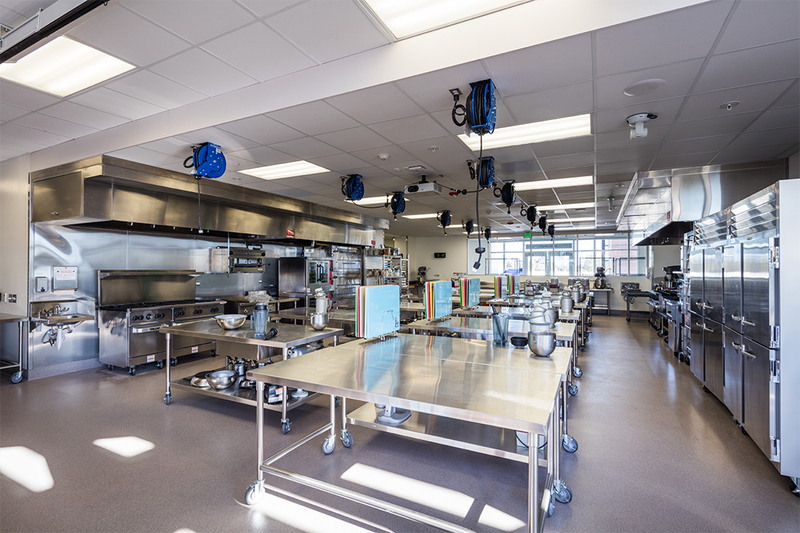 Additionally, the building hosts new space for the college’s Culinary Arts/Management Instruction program, complete with new facilities and an organic rooftop garden. This lifestyle hub will prompt Mesa’s students to further embrace campus amenities and strengthen relationships within their social and academic communities. SGPA and Miller Hull teamed on the project and used placemaking strategies to create a destination at Mesa College where people want to spend time, supporting the notion that time on campus is time well spent. College campuses that invest in updating facilities not only offer a competitive advantage for students but meet their comfort and convenience-oriented expectations. A core focus of this project was to improve the campus experience and enrich the day-to-day academic environment. At SGPA, that’s the underlying mission and the driving force behind our work: To enhance everyday life. SGPA’s team is motivated to incorporate a variety of design elements to enrich an individual’s everyday life, in every way we can. The $34 million project is unique in its sustainable design elements and its complementary applications to its mixed-use programs. 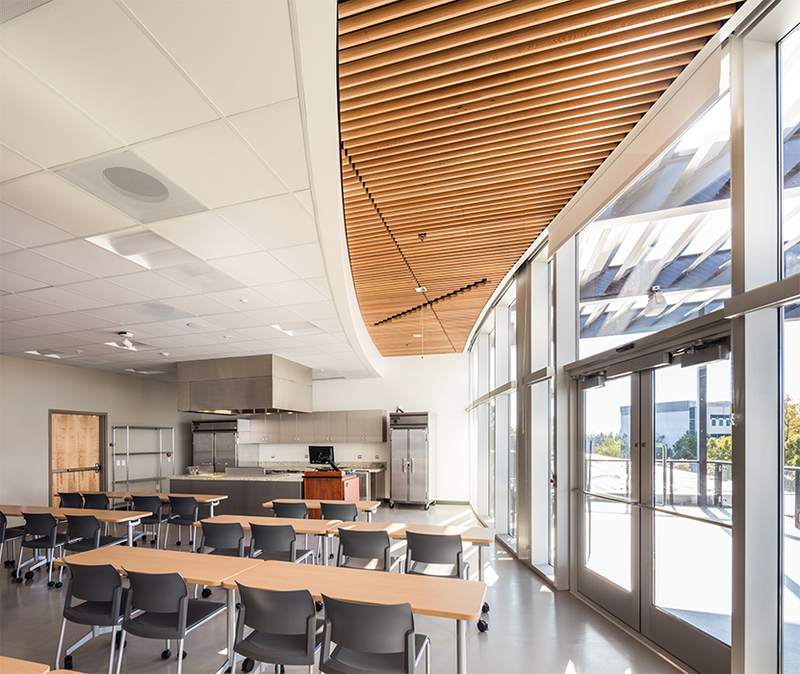 Solar chimneys, daylighting, radiant floor heating/cooling, and a solar thermal hot water system all make this building stand out for energy efficiency. 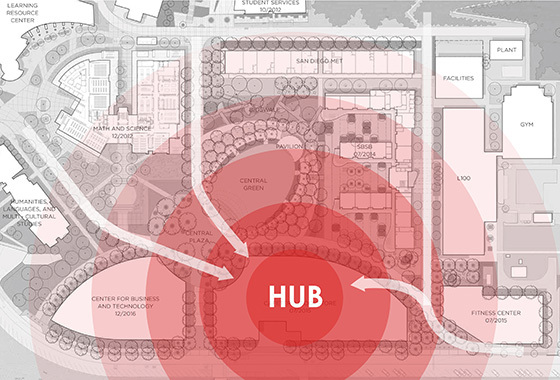 The building concept is based on rational zoning of the program, by placing all “back-of-house” uses adjacent to the large loading area, and all of the public spaces along the new central campus quad. 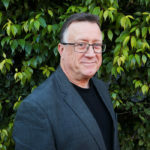 This move, coupled with an open structural system, results in clear circulation paths for goods and services, and is highly flexible for future change. There are three main spaces at Mesa Commons: The Cafeteria, the Culinary Arts program, and the Bookstore. At the cafeteria, numerous themed food stations are available, allowing diverse and balanced offerings. Terraced seating areas, group tables and plenty of wall outlets entice students to meet and linger in the cafeteria even after they have completed their meal. Large expanses of curtain wall provide ample light to study from and serve as a welcome scenery change from classroom walls. Amenities are readily available to support downtime between classes, with a lounge and meeting room on a mezzanine overlooking the main dining spaces. 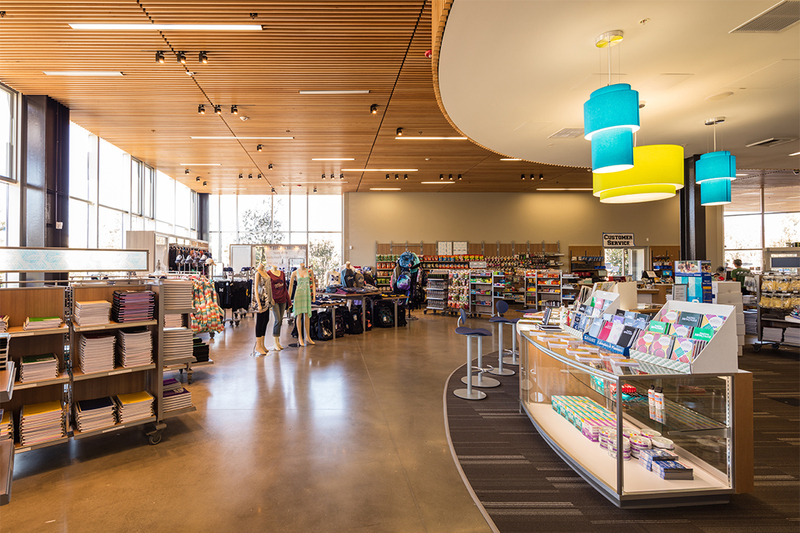 The campus bookstore offers features beyond the typical, turning this portion of the building into a retail destination of its own. Mesa College’s Culinary Arts program is housed in this building, revitalized with new facilities. Mesa Commons is the first building on campus to house a group of cisterns that provide 100% of the site’s irrigation needs through reclaimed HVAC condensate water and collected rain water. An organic rooftop garden is also a first for the campus. Used by the Culinary Arts Management department and fed by the day tank, the garden will provide some of the produce used in the building’s student-run café. 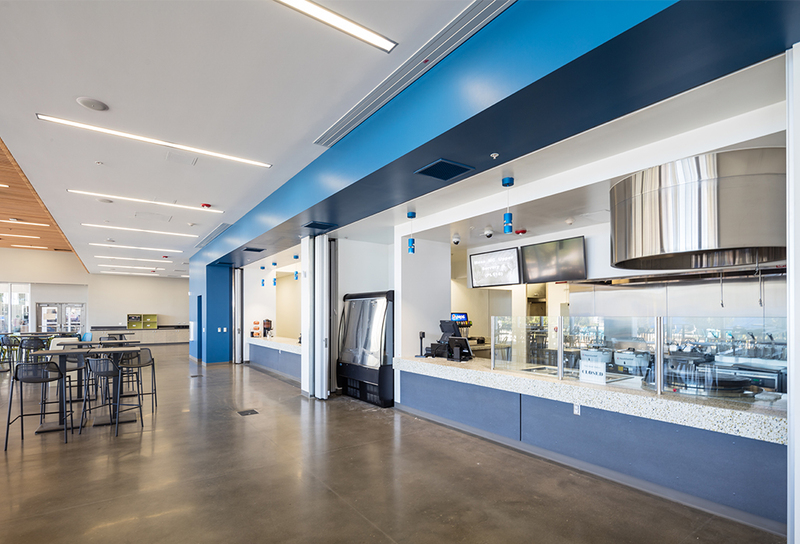 Also at Mesa Commons is a convenience store, coffee café, the campus stockroom, reprographics services, and conference rooms. 192,000 gallons – estimated annual storm water runoff collected by the six below ground 1,700 gallon cisterns – reclaimed water is used for site landscaping irrigation. Permeable paving is utilized throughout hardscape areas to reduce site storm water runoff, and landscape areas are designed to capture and filter runoff from other areas of the site. 75% reduction from baseline design in total irrigation water needs was achieved through the selection of native and drought tolerant plants – saving 300,696 gallons annually. 100% non-potable water used for irrigation – all of the site landscaping irrigation needs are met by reclaimed rainwater runoff collected/stored in six 1,700 gallon water storage cisterns – 98,472 gallons of reclaimed water used annually to irrigate site landscaping. 270,000 gallons of condensate water is estimated to be collected annually from HVAC equipment that feeds the below ground cisterns as well as a 700 gallon water storage tank at the second floor Organic Roof Garden. The tank provides irrigation for the organic garden that will be managed by the Culinary Arts Department for use in their student-run M Fusion Restaurant. Tree species throughout the project were selected based on solar orientation and will contribute to shading and passive climate control on the building and around the site. 37% reduction in water use with low-flow toilets,urinals and restroom and kitchen sinks – 148,380 gallons saved annually. 630 million BTU’s of clean thermal energy produced annually, offsetting 6.7% of the total building energy use. 1,457 Kingspan evacuated tubes cover 2,000 sq ft and shield the mechanical cooling equipment by increasing its operating efficiency while pre-heating water to 205 degrees and serving the building’s hot water needs. 7,500 sq ft of radiant heating and cooling concrete slabs – provides even and comfortable warmth in the cooler seasons and cooling in the summer months to occupants in the dining and terrace seating areas. 1/2″ Viega molecularly cross linked polyethylene with oxygen diffusion barrier (PEX) tubing is tied to the reinforcing steel rebar, which is then covered by the structural concrete slab. 1-inch R-5 insulation laid underneath slab to maintain consistent temperatures. 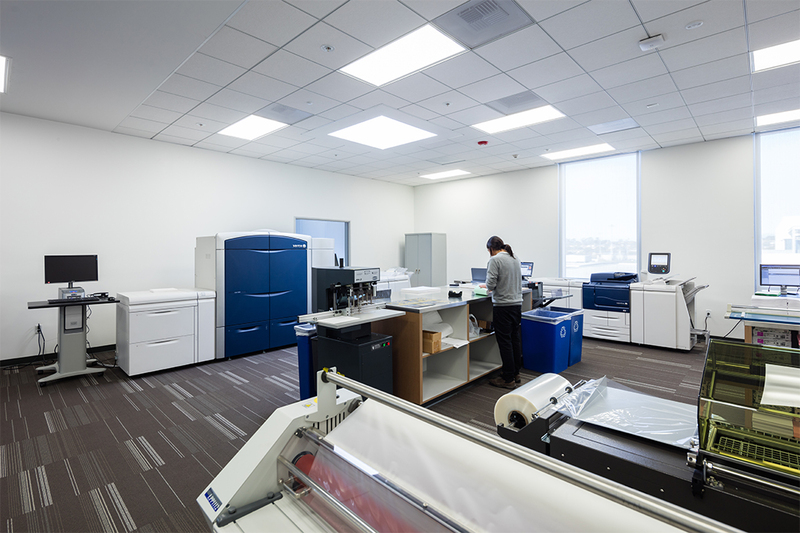 High efficiency LED lighting with integrated dimming, occupancy, and daylight sensors are used throughout the building to decrease energy use in lighting when appropriate. Solar tracking skylights use solar powered GPS sun-tracking controllers that accurately calculate location and follow the sun’s position regardless of weather or season to reflect the most natural light possible into the building. They provide comfortable daylighting and reduce electricity use. 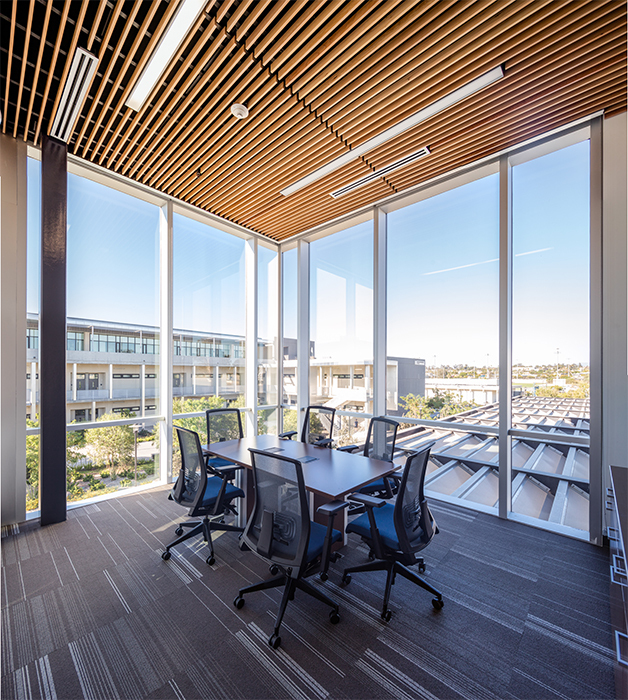 Daylighting & Views – more than 90% of occupants have a direct line of sight to the outdoors. The building was designed with public spaces mainly on the north side of the building and service spaces to south to maximize the use of north facing high performance insulating glazing which allows natural light while reducing harmful UV light infiltration and solar heat gain. Thermal Comfort Design – comfortable indoor air flow and relative temperature for occupants. 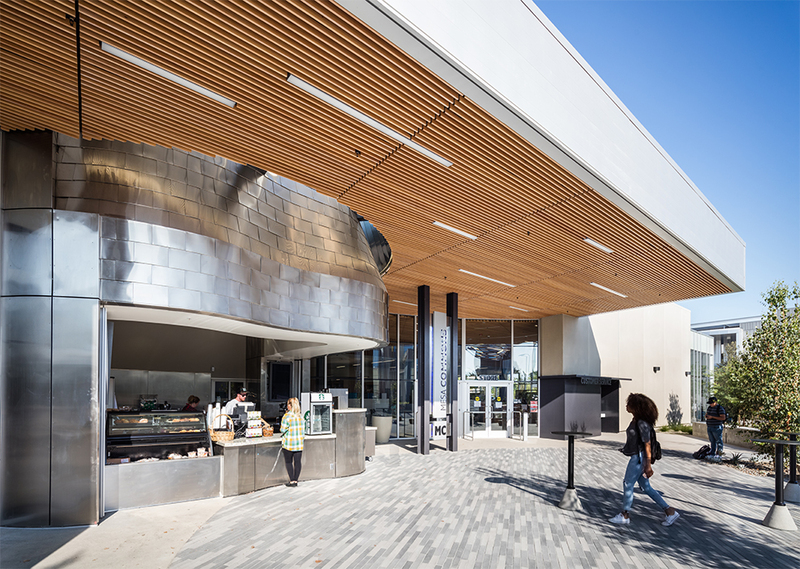 The Bookstore and Cafeteria Dining areas employ natural ventilation via a passive cooling system that utilizes solar powered exhaust fans and solar chimneys to harnesses ocean breezes to cool the spaces. The solar chimneys create a negative pressured, double-storied shaft that draws hot air from each space by the use of thermal (trombe) walls at the roof level to heat and draw hot air out of the building in a “stack effect.” Each space can choose mechanical or passive cooling with a simple on/off switch that tracks exterior conditions to determine optimal times for passive cooling. Low or zero emitting VOC (volatile organic compounds) materials such as paints, sealants, and adhesives are used throughout the project to improve indoor air quality and minimize harmful airborne irritants. The project maximizes the use of materials with recycled content and sustainable harvested materials. 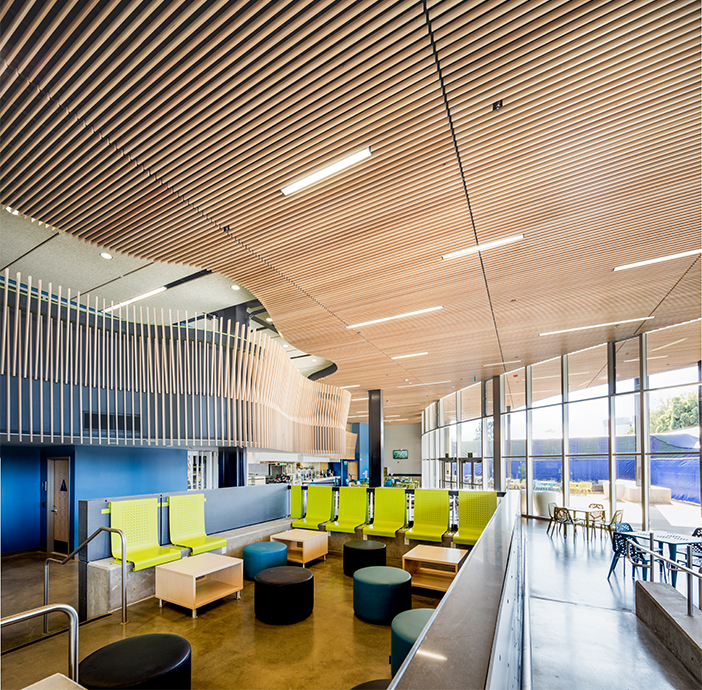 Some of these materials include wood slat ceilings, composite wood fencing, tectum ceiling panels, as well as carpets and structural steel fabricated with high recycled content. Light colored, highly reflective roofing materials were selected to reduce solar heat gain in the building and reduce the heat island effect on the surrounding campus. The building envelope is highly insulated to conserve energy and enhance thermal comfort for the users. Bottom row: Completed project photos. Download the self-guided tour brochure (PDF) and visit on your own time. 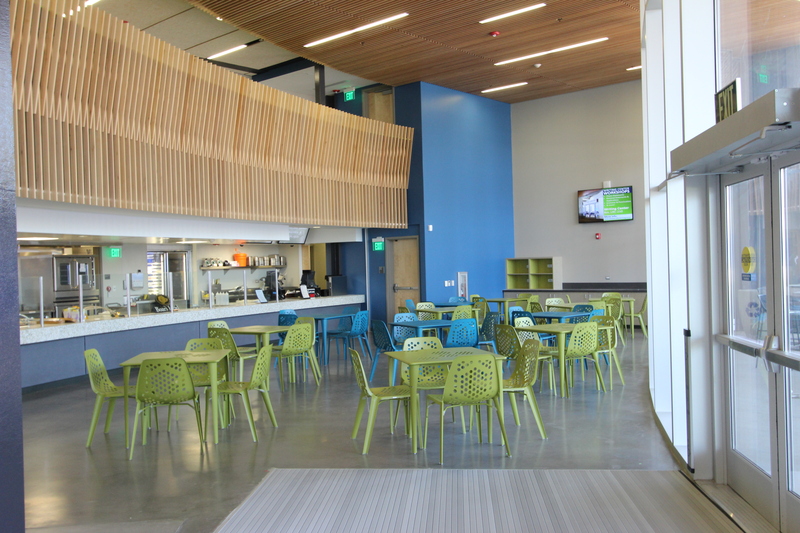 The Mesa Cafeteria and student-run restaurant are open to the public. Contact us to schedule a private tour or learn even more about this incredible facility. 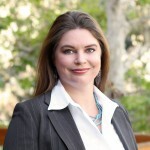 SGPA "Design Strategies for Campus Retail Success"
The San Diego Union-Tribune "Mesa Commons called new campus heart"
San Diego Community College District "San Diego Mesa College - Mesa Commons Unveiling"